Iowa-based company, Global Compassion Network, has been doing work in Haiti for the past three years to restore many of those displaced by the 2010 earthquake, back into homes. 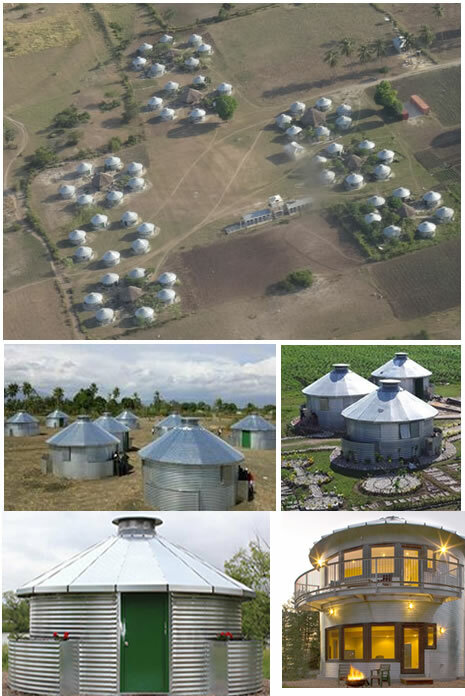 These dwelling residencies are made from grain bins -- round metal bins, which have been recycled to form what the group calls 'safe homes.' The project takes place in the village called Hope, and so far, some 220 people have benefitted from the 60 homes already erected. The project is done with help from the Sukup Manufacturing company.